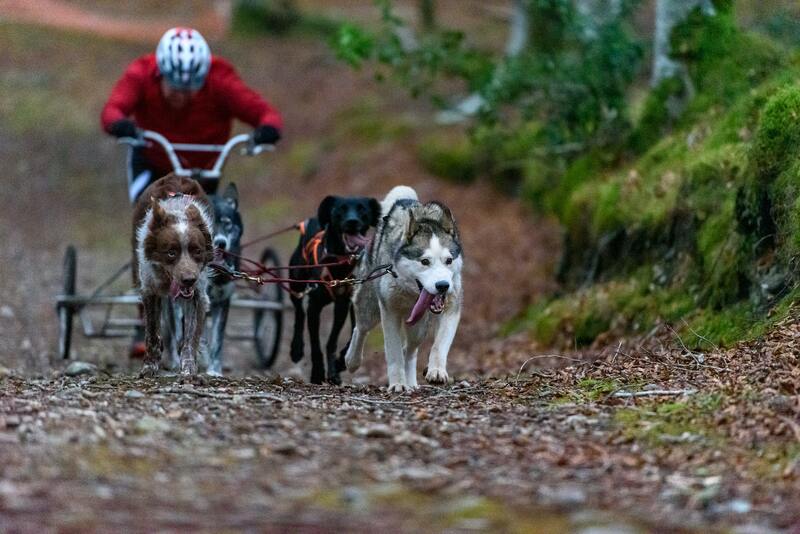 ‘Off Snow’ or ‘Dryland’ as it’s more commonly known, is one of the five main disciplines in sled dog sports and the UK can boast to have some of the best teams in the World. Over the years, we’ve fielded teams in numerous international competitions and had World and European champions in both. Go to our athletes page to see just a few of them! 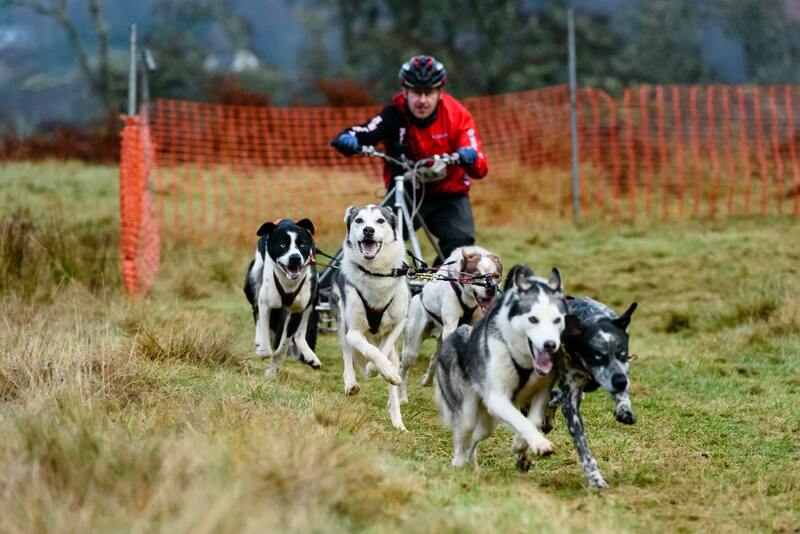 The UK sled dog racing season (Sep – May) holds a number of races each weekend, many of them having classes specifically aimed at ‘rigs’ and their sled dog teams. This can vary from 3 dogs, all the way up to 8. 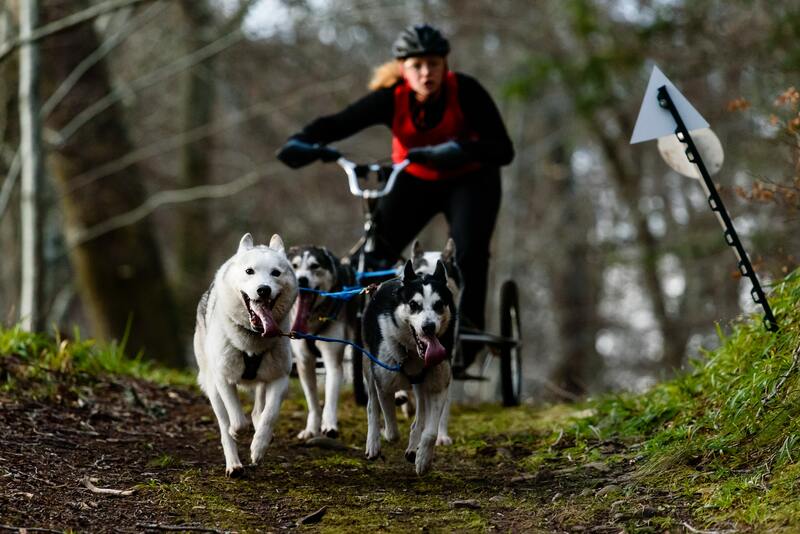 You can race with a multitude of breeds (just be sure to check their race rules for eligibility), such as Alaskan Malamutes to Scandinavian Hounds, or Eskimo Dogs to Greysters! There is often a split in class, depending on whether your dogs are registered. To compete in the Registered Nordic Breed class (NB), your dogs must be one of the recognised Nordic Sled Dog breeds and you need to hold a Kennel Club number and paperwork for their home countries Kennel Club. Dogs without KC paperwork, or non-Sled Dog breed would compete in the Open class. 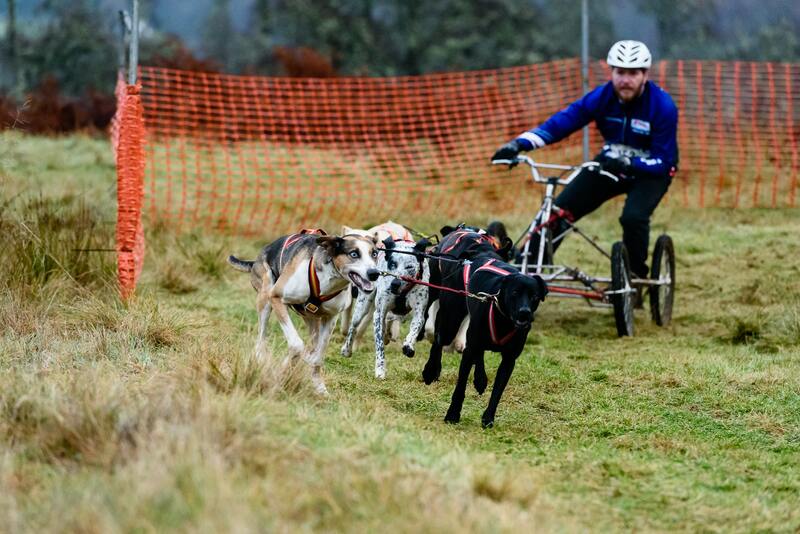 Dog drivers, or Mushers as they are commonly known, compete using high performance wheeled 'rigs' designed especially for the sport. The UK is a world leader in rig manufacture with several different makes being sold to mushers inside and outside the UK. Please go to our equipment page for a non-exhaustive list of suppliers. We encourage you to take a look at our club map where you’ll find all the clubs that train using rigs. They will be able to point you in the right direction and give hints/tips as well as hopefully inviting you to give it a go. 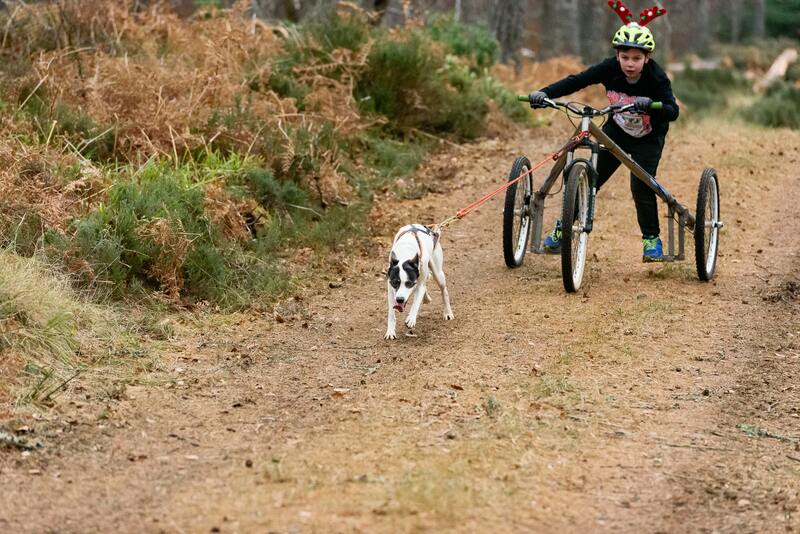 Happy mushing! Great Britain has some of the best dryland teams in the world..